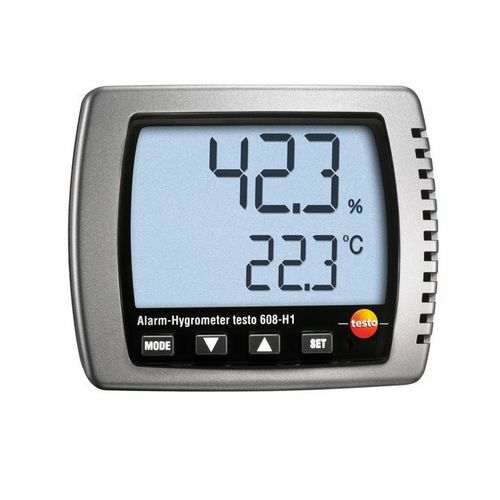 The 608-H1 hygrometer is a battery-operated testo that can detect humidity without having adverse effects from condensation. It is capable of giving measurements for temperature, dewpoint and humidity. The hygrometer has an LED alarm system that warns users when limit is surpassed in order to give a more accurate signal reading.